Written across the Bank of England’s latest inflation report are the immortal words: ‘Don’t Panic’, as rising fuel and food prices push the UK rate to its highest since September 2013. Inflation leapt to 2.3 per cent in February, up from 1.8 per cent in January, the latest figures show. The increase takes inflation well above the Bank of England’s target of 2 per cent. And there’s more to come. The Bank of England said it expects inflation to peak at 2.8 per cent next year but economists believe the real rate will be closer to 3 per cent. Comparing prices and switching providers is becoming ever more important as prices for everyday goods rise. Just one point to make – there’s a difference between how the Retail Price Index (RPI), up 3.2 per cent, and Consumer Price Index (CPI), up 2.3 per cent are added up. One refers to the costs for businesses, the other to the costs direct to the general public. How will inflation affect me? The Office for National Statistics creates these statistics every month based on the Consumer Price Index (CPI). This measures how expensive things are to buy in shops and supermarkets, as well as calculating the cost for drivers at the petrol pump. The Brexit effect means the value of the pound is falling against other currencies and imports are more expensive. These increases will impact adversely on broadband users who have already faced significant price rises since the start of the year. Both Sky and BT have announced line rental price increases recently. Sky announced a 9.1% increase in their rental price from £17.40 to £18.99 from 1 March. This was in response to BT’s price increases across broadband, TV and BT Sport packages, which will come into effect on 2 April. EE are pushing up prices by 2.5 per cent from 30 March 2017 for customers on pay monthly, SIM-only and mobile broadband. O2 will add 2.6 per cent to customers’ bills from the start of April 2017. In all, line rentals have increased by 37% over the last five years, with broadband users now spending an average £216 a year, £58 a year more than in 2011. Speaking to BroadbandDeals.co.uk, a Vodafone spokesperson said: “We can confirm that our prices will be increasing by 3.2% from the RPI rate set on Tuesday and these will come into effect in April. 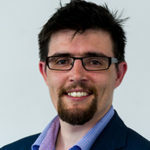 Tom Rodgers, Editor of BroadbandDeals.co.uk, said: “Broadband customers face the dual threat of rising prices and providers who appear determined to undermine competition in the sector. “We only need to look at the massive £42 million fine imposed on BT this week to see what a raw deal many consumers are getting. “One out of every five people with broadband have never switched providers. But companies take advantage of a lack of knowledge about the sector to effectively penalise customers for their loyalty. “That’s not acceptable in this day and age.